What Are the Seven Reading Comprehension Strategies? At 8pm on Tuesday March 30, 2010, Sir Ken Robinson will participate in a Classroom 2.0 Webinar. The topic will be a discussion of his latest book, The Element: How Finding Your Passion Changes Everything. (You can read more about the webinar at http://is.gd/b3wkq) For #edchat this week we would like to do a "warm-up" discussion about passion in education. Mainly, what does passion in education look like, and, how could passion promote change in education? Why do this? We feel like everyone who participates in #edchat would benefit from the discussion with Robinson and we want to make sure everyone has a chance to participate in the webinar. We invite all members to participate in both the warm up discussion and the webinar. So we are straying from the normal 5 question topic poll and just going with an opinion poll. From time to time events like this will arise and we would like to get your feedback. #Edchat is driven by the community so it is important to voice your support or concern. (You can vote in the poll here.) Both the afternoon, European Edition and the main, evening edition will discuss passion and it's ability to promote change in education. There will be an archive and we will have our regular follow-up posts. 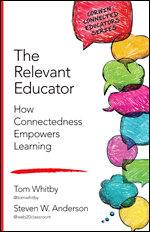 For any questions please send a message to @tomwhitby, @web20classroom or @shellterrell. We will return to the regular poll next week. So what do you think? Leave me some comments about the format this week and any suggestions you might have. I don't really remember when exactly I started using the Internet at school. It was sometime in high school but I didn't really pay much attention to it. In college I was in the first Freshman class in the state of North Carolina required to bring a computer when we started in the Fall. Now, if you don't have one you are part of a very small minority. Think about trying to teach students today about various Web 2.0 tools or use streaming media as part of your class and you can't because your school is still on dial-up. Or when students go home they don't have access to high speed Internet. This is a reality in a lot of rural places around this country. I live in a pretty populated part of central North Carolina so access to high speed internet isn't really a problem. But if you go just 20 miles in any direction you will travel to some of the most rural (and beautiful) parts of our state. There the story is completely different. Residents in several of the surrounding counties complain that they might live less than a mile from a high speed line but the provider won't bring it up to their home. So these people are stuck with dial-up. And it is not just here. Over the weekend I was traveling through rural southern Virginia and Tennessee and saw signs encouraging law makers to consider legislation "encouraging" providers to expand broadband networks and heard a story out of southern Kentucky about students in distance learning programs were struggling because of the lack of access to high-speed Internet. The FCC recently unveiled the National Broadband Plan which aims to bring high-speed Internet into every home and school in the country. While reading about this plan I got into a conversation with a member of the Broadband For America Group. Before talking to her I never really thought about broadband access in school. I took for granted the fact that most schools had internet but many across the country still had dial-up. "The National Broadband Plan, which was recently published by the Federal Communications Commission, has the potential to be of great benefit to teachers, students, and parents. The NBP specifically points to the educational aspects to expanding the reach and adoption of broadband access to the Internet. The NBP states “97 percent of American schools now have Internet access.” While we assume that the majority of schools with Internet connections have high-speed access, it is the rural schools which are most likely to need high speed access but are most likely to be limited to dial-up connections. Students in urban and suburban areas are most likely to have broadband access in their homes because of cable or fiber connections from their cable or phone company. They can use all of the content-rich websites available around the world to enhance their research and the work they hand in, in this era of more students competing for a static number of slots at high quality colleges and universities. Students in rural areas, however, may only have access to a broadband connection to the internet at their local library or at their school. It is quite clear that a student with broadband access in his or her bedroom has an enormous advantage over the student who needs transportation to the county library, or needs to be picked up after the school buses are long-gone having utilized their school’s broadband connection. Aside from student requirements, schools which have a broadband connection to the Internet can become a hub of local activity by adding wireless access points and allowing anyone from the community to utilize the service for legitimate needs. This can serve to re-connect adults to their local school system, even if their own children have long ago left for college and a job in the city. As a strategic matter, schools and school districts can leverage this renewed association to identify allies when funding, land, or other issues are on the table. A point which is very important to school districts, but which is too often overlooked, is the ability of the faculty to utilize broadband Internet connections to enhance their individual skills or monitor the latest developments in their teaching specialty. The ability of teachers to do advanced course work on-line over a broadband connection will improve the overall quality of teaching, and will help rural districts retain teachers who are interested in gaining advanced degrees. The snowstorms which pelted the Eastern seaboard this past winter caused the cancellation of classes for well over a week; which will lead to school calendars extending into the summer. We should be working toward a day when a “snow day” simply means that each student turns on their computer, connects their teacher through a Skype-type of application, and go through their day as if they were physically in school, changing classes every 50 minutes. America is still the envy of the world for its creativity and its ability to rise to a challenge. Our current challenge is to ensure that every student has access to a broadband connection to the Internet so they can take advantage of the wide range of benefits high-speed Internet access provides." I encourage you to check out their website and if you live in an area where high-speed access is an issue drop a note to your representatives asking them to support the plan. On their site you can also see the broadband statistics for your state and learn more about what you can do. After all we want our kids to have access to the latest and the greatest and we can't so long as that dial-up sound is still the standard in some parts of our country. Recently, Google created a video for the general public on exactly (well at least as much as they want us to know) how their search engine works. At only 3.30 minutes it is cram packed full of information. They also created a couple other videos on how Google Apps works (great for understanding Cloud Computing) and a video completely dedicated to their AdSense product. You can find those on their How Google Works Page. All throughout the site you will find information on how to integrate Google Apps into the classroom, lesson plans using one or more Google Products like Docs or Books, and some really cool posters you can hang in your room reminding students about how to use Search effectively. There is lots of information like the Doodle4Google Contest, webinars, web safety information and information on upcoming Google Teacher Academy application dates. 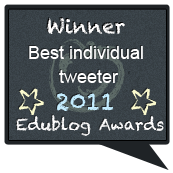 One of the coolest resources they have is the Educator Community. There you can connect with other teachers using Google Products, post your own lessons, and ask questions about how to better use their products with kids. So be sure to check out the How Google Works video series and take time to explore what they have created for educators. Apple Learning Interchange - iPod touch. Touching student lives in the classroom. One of the toughest issues facing my school (and district for that matter) is parent communication. Yesterday in a meeting after school our leadership team discussed ways to have more parents involved in what we are doing. Meaning, we offer nights several times a year were parents and students are invited in to discuss gangs, drugs, achievement, relationships, lots of different issues that parents might have questions about and that the school and guests can provide answers or resources to. So we have done a few of these meetings this year with very low turn out. When we have open houses we generally have very low turn out. Even sporting events and music concerts are poorly attended. We are currently examining how we get this information out to parents. What are we doing and how we could do it better. Teachers face those same issues in their classroom. Disseminating information home can be tough. However, educators have come up with some very creative ways to increase parent communication, thereby, hopefully increasing involvement. Problem with number of parents suffering from their own bad school experiences. Have to get them to trust school. If parent's are not notified that their child is having a problem, they are not being provided an opportunity to correct things. Highest hurdle is gaining the trust of the parents... No one who doesn't trust you wants to communicate with you. Some things we deal with here - no phone hooked up, kids aren't reliable to take paper home, and they have no internet connection. Use Edmodo & allow parents to join w/ code. Can participate in discussions & keep up w/ all class activities. Some teachers think, "Why do I do these newsletters/website updates? People don't read them." If ONE parent gets informed, it's a win! I see kids do smart things so many times each day. I need to make opportunities to share these successes more often with parents. Connecting the parent to the school is the school's responsibility, not the parent's. Be flexible and use a variety of ways to contact parents. One way doesn't work for everyone, we must differentiate how we connect. I encourage you to read the archive of the conversation so really get a grasp for what people were saying. First things first. Parental communication is vital to the school community. In this day and age it is unreasonable for a school to not have a website. And these websites need to be living beings, updated regularly with new information and changes. And now that Google has given us the ability to subscribe to a page even if it does not have an RSS feed there really isn't a reason that schools should not be using that as a major portal of communication for their community. Many (including myself) would argue that teachers need to have their own home on the web. Whether it is provided by the district or not. There are so many great, free, and easy services to use, I find it difficult to find a reason why not to do it. One of the more interesting suggestions last night was Facebook fan pages for schools. Many said that they provided one more place to get that information out and I tend to agree it is a great idea. Instead of teachers using personal pages the school could have their own presence on Facebook and each teacher, if they wanted, could also have a place there that is separate from their personal space. This might help to allow districts to open up this resource that is often blocked and use it for an education purpose. And why not have a Fan page. Facebook, for a few days was the most visited place on the web in February. Many, many people have them. Tap in to the students, parents, alumni and the community to get your message out and build support for your school. Twitter is another resource that could be used. I am a big advocate of this. Since the messages have to be 140 characters or less they have to be concise and to the point. Parents and the community can choose to follow and get instantly updated via text message or subscribe to the RSS feed and get updates in a reader. Again, it's yet another way to get the information out. The point of all this is using as many of the available resources to get your message out. Are you having a parent meeting? One of the things I suggested yesterday at my meeting would be to Ustream. Easy and free. Set up your webcam, account and broadcast. The sessions could be recorded and played anytime afterwards for those that could not attend. Does your school have a blog? Another quick and easy way to get the information out. How about email lists? What about text message blasts? Automated phone calls? Or a simple phone call home from the teacher. There are so many ways. And that is the point. Schools and teachers need to use all available channels to get that information out there. While the note pinned to the kids shirt worked in the past we have moved on. Simply sending home a packet once a week or even daily just does not cut it. We have to use the web, Facebook, Twitter, text messages, all need to be used together to spread information. Anthony Robins once said, "To effectively communicate, we must realize that we are all different in the way we perceive the world and use this understanding as a guide to our communication with others.” Everyone gets their information different ways. Teachers and schools need to begin to understand that and consider how they are getting the information out if if there is a way to improve. I recently discovered some great, new, teaching resources from Microsoft. Most of them are centered around their products like Photostory, Movie Maker, and Bing, but the the Teaching Guides have lots of good ideas and tips that would work for a wide variety of products. For me, one of the more handy guides was the Digital Storytelling guide. Hopefully we know that when we give students the opportunity to create something related to what they are learning they are more likely to remember what they have learned and be able to apply it in the future. In this guide there are tons of examples of how projected-based learning helps improve student achievement and how digital storytelling is one, easy way to introduce project learning to your students. There are also lots of handy tips on taking pictures, recording audio and ideas for lessons. On the digital story telling site there are video examples and templates you can download right into Photostory for easy use. Here is the Digital Storytelling Guide. You can head over to their website if you want to download it, for free of course! I have also discovered that Microsoft will be providing daily teacher technology tips, tricks and ideas for the classroom leading up to May 4, 2010, National Teacher Day. 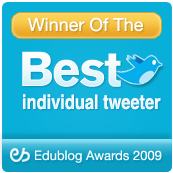 Twitter users can follow @TeachTec or hash tag #TeachTips for teacher technology tips. Facebook users can follow Microsoft TeachTec. Check out the Microsoft Teacher Tech and the Microsoft Blog posts for additional details. So head on over to the Microsoft Education site where you can get all the guides. Also while you are there be sure to check out the free how-to articles and technology integration lesson plans. 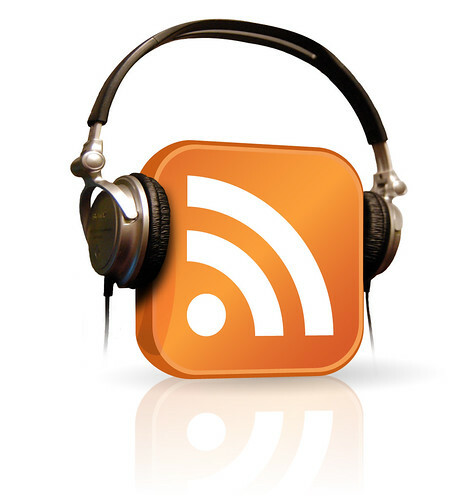 Also in the sidebar you will notice a link to subscribe to the podcast version of this blog in iTunes, Juice, Zune or add it to your Netvibes, iGoogle, or Newsgator page. You can even share it on Facebook. Odiogo is a cool service and best of all it is free! So, if you are on the go, in the car, working out, or walking the dog take this blog with you! There are lots of Web 2.0 Timeline applications out there. I even wrote about one of my favorites, Timetoast, a year ago. Last week I came across a new player to the timeline game. Preceden is free to sign up and use. You have to have an email address (which is a drawback for some classrooms) and sign up takes as long as it take you to type a name and email. It's that easy. Once you are in you simply fill in your dates and events. It is very simple to use. One of the nifty features is the layering. For example if you are doing a biography you can layer locations, education, etc all in the same timeline. They have other examples of use like a daily schedule, project planner and more. And you can choose to make your timelines private or public. Some drawbacks I noticed. First was the email sign-up thing. But they have a place on their site for suggestions and that would be a great one to make on behalf of educators. Another is there is no option to embed timelines on a webpage or a blog post so you would have to do a screen capture if you wanted to put it somewhere else. These aren't really deal breakers, just improvements I would like to see in the future. It is in beta so I am sure they have some cool things planned. So if you are looking for a simple, easy to use timeline maker, Preceden is worth a look! Update-Thanks to an anonymous commenter embed is available. On the live timelines, under the menu, Timeline List, the timelines do have embed code available. Thank you kind reader for pointing that out! Recently at NCTIES Kevin Honeycutt spoke on Personal Learning Networks. I did not attend the session however a quote from it, tweeted and retweeted several times really resonated with me (and several others). He said, "I am smart. But with my PLN, I am brilliant!" So true! The connections we make with those in our PLN help to make us brilliant. I have people in my PLN from all corners of the globe that I know I can call upon when I have a question, need feedback on a project or just to "talk shop." I consider all of these people my colleagues and friends. And it would have been difficult, nigh impossible, to have these kinds of connections and relationships without social media. So if these connections and relationships work so well for our educators, why could they not work for our students? The topic on #edchat this week centered around Social Media and the role it currently plays in education and the role it should play in education. A very active debate took place with people on all sides. Here is just a taste of what was said. I don't see any change at all at my school since the district is trying its best to block any and all social media. Social Media can connect to both like-minded people but also expose people to divergent viewpoints. Break down the motar and brick walls... schools are open 24/7/365 with student access to teacers and teachers to other teachers. Social Media makes the world a classroom, and the world has so much that it can teach! Is social media more rewarding to teachers & professional development, or to students & their learning? My hunch is BOTH. Everything (even good things) have down-sides. If we don't debate and acknowledge problems, we're bound to make mistakes. Negative Side = There will always be examples of misconduct by students and authority figures to scare community away. If we do not use and work with social media we risk becoming irrelevant. Students seek greater control over their learning experiences and a number of technologies grant them this control. What will we do when our students come back to us in a few years and can't land jobs because of irresponsible Social Media use? Change? Shift begins with a realization. Hope some more have had the realization. Change begins with YOU! I really do encourage you to take some time to read through the entire archive. Well worth it! Social Media in education can be and sometimes is messy. There are obvious benefits. The connections that kids can make with other kids in other classes, states and across the world are unrivaled in education today. So the question still remains. We want our kids to be ready to "compete in a global society," and be "21st Century." Yet when they come to school we take away their cellphones and block them from services like Twitter, Facebook, Myspace, and others. We sit them in their rows and stand in the front of the room and lecture to them. There is an argument that social media has no place in the classroom and students should avoid it at all costs. There are dangerous people out there and we need to protect our kids and shelter them from everything. Look. Any intelligent person knows that these kids are still going to access these services even when we are not looking. So instead of blocking and restricting access why not teach kids about how to be responsible when they use them? We can "educate" our kids to death when it comes to math and reading for test taking sake but when it comes to teaching them some really valuable skills we shy away, lock it down, and expect the social media problem to just go away. Social Media has a place in the classroom. Kids need to be able to harness the amazing powers that social media provides. We do workshops and seminars and talks about why teachers should have a PLN and how to get one. What about kids? Why do we deny kids the same? That is not to say that Social Media does not come with problems. The recent cases of Megan Meire, and more recently a free speech case in Florida demonstrate that things could, and sometimes do, get out of hand. But that should still not detour us from allowing students to harness the power that social media can bring into our classrooms. It all starts with education. Teaching our kids, not when they are in 8th grade or high school but in Kindergarten about the responsible uses of Social Media, how to stay safe online, and about cyberbullying. And these lessons should continue all the way through college because kids, even at that age, need to understand that pictures from that late night party posted to their Facebook page might not help them get a job. 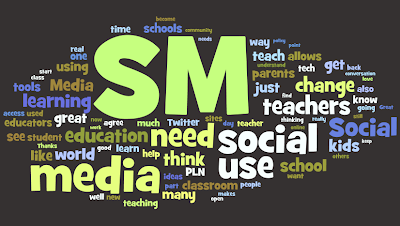 So does Social Media have a place in the classroom? Yes. If not for the friendships and connections that kids can make but simple for the opportunities to teach our kids about the role that Social Media can, does and will play in our lives. Last week I attended the North Carolina Technology In Education Society's Annual Conference. For 3 days almost 2000 educators from across the southeast gathered in Raleigh, NC to share, produce and learn about technology in education and have a little bit of fun. I spent the weekend reflecting on each of the sessions (both formal and informal) that I attended and I wanted to share my learning with everyone. My conference started with a half-day session with Julie LaChance (@ejulez) and Rob Muhlestein (@mohax) learning about Second Life. Previously I had tried to learn Second Life 3 times but never could get anywhere with it so just gave up. This was a perfect opportunity for me to learn from 2 of the best Second Life Educators in the business. They got us all set up with avatars and a special Second Life browser and helped us get to Edtech Retreat Island (@edtechretreat), a place that Julie and Rob have built to offer Professional Development to teachers and as a place to call home. There we were able to see the Virtual Conference they had set up and learn some basic movements. We also looked at ISTE Island and learned about the Professional Development opportunities they have there. Second Life is amazing! There are so many places that kids can visit like NASA, museums and more. Schools do shy away because they can not control content but there are other options worth exploring that we talked about like Reaction Grid which is also a virtual world you can create for students. Virtual Worlds are definitely being embraced by more and more educators and institutions so we all need to have a basic understanding of how they work. Thursday's sessions started with a great friend of mine Bethany Smith (@bethanyvsmith). The Instructional Technologist for NC State University College of Education, Bethany has a vast experience in technology in education. Her session focused on how to take your PLN beyond the tools. The conversation in the session was amazing. People talking about what their PLN's did for them and how to foster engagement. There was even a great discussion about #edchat. My learning continued in a session entitled Baby Steps: Guiding A Traditional Staff To Online Collaboration. don't think there are too many people in a technology leadership position can say they have never had trouble with this. I have a wonderful staff of teachers who constantly strive for what is best for our kids. But helping them move to be a digital educator is tough. This session from Eric Cole (@ericcole) and Keith Ledford (@keithledford) offered real ideas on how to help a staff move to the digital world. Using simple services like Google Docs for meeting notes and agendas and Ning for collaboration, it really was baby steps and there were tons of ideas that I can take back and try with my staff. View more presentations from Eric Cole. The lunch Keynote was delivered by Ron Clark, author of The Essential 55. I had seen Ron Clark speak before and this time he was no different. Full of energy and great stories about his career and how to be an inspiring educator. More important than Ron Clark was the announcement of Technology Educator of the Year. Sam Walker (@swalker2) is an Instructional Technologist at Kimmel Farm Elementary, just down the road from me. He is doing amazing things with Problem-Based Learning and technology. I could not think of someone more deserving than Sam. Congrats! The afternoon began with an amazing educator Kelly Hines (@kellyhines). She spoke about how to Go Global With Elementary students. Now, I don't work with elementary students, however, the ideas she promoted work at any grade level. She talked a lot about her Flat Stanley project and other similar projects kids could do to help learn about the world. One of the best projects she highlighted was the Skype Around The World project started by Silvia Tolisano (@langwitches) which aims to bring classrooms closer together through Skype. Check out her site for more great ideas and projects. During the next 2 sessions I presented on my Administrators Technology Toolkit and Why You Need A PLN. You can see all my presentations and resources and the awesome Voicethread on Why a PLN at the wiki I created for NCTIES. Friday started off in a session with another great friend of my Emory Maiden (@evmaiden). His session focused on not how to Twitter but why Twitter. It was jam packed! He had some great examples of why educators should Twitter, like for the conversation or simply the resources that were shared. We also talked a lot about how to organize those resources we get from Twitter using the Read It Later option in the Diigo toolbar or what I use, an application called Read It Later. His presentation was full of links and ideas so be sure to check it out and be sure to look at the stuff he has posted on his wiki. For the next session I headed back to Bethany to learn about Ning. I had created some Nings in the past but felt like there was still a lot to learn. Boy, was I right. She told us about so many tips and tricks to help get more out of Ning. One of the coolest was the RSS feature. On each group page and forum page at the very bottom there is an RSS feed that you can subscribe to. So instead of getting all those emails when when someone starts a discussion or responds to a post you can just subscribe to that feed in your reader. Finally a way to organize! Love it! She had lots of other ideas so be sure to check out her presentation and her wiki for more great stuff. The last session I attended was with Sam Walker and Walter Carmichael (@wcarmich) where we heard about how the entire staff at Kimmel Farm Elementary is using Problem-Based Learning with their kids. They have spent every Thursday from 4pm-8pm learning and refining their practice and it shows. We saw some great videos of a Kindergarten class using PBL. As I said before they are really doing some great things at Kimmel Farm, we all could learn a little from what they are doing. Be sure to check out his presentation and subscribe to his blog. He offers great insight into the world of technology in an elementary school. While those were official session I attended the learning continued online. The backchannel was alive and kicking all during NCTIES. Do a Twitter search for #NCTIES and you will see what I mean. There were also Skype chats and notes passed, all sharing ideas and resources. Like when I was in the PBL session I was able to follow along to a Google Earth session because a colleague was tweeting out info. So cool! I was so honored to present at NCTIES and so happy that I was able to finally meet, face-to-face people who I have gotten to know through social media. And that was one of the last conversations I had before I headed home. When I met these friends of mine there wasn't any of that getting to know you awkwardness that sometimes comes with meeting new people. I felt like that when I "met" someone at a session or just walking the convention floor I already knew them. There were of course opportunities to further our discussions after sessions and get to know each other better but it was a seamless transition from the social media world to the real world. If you are an educator, in whatever field, I encourage you to go to your state conferences. If you state does not have one, look at surrounding states. The opportunities to learn are out there. We just have to find them...so start looking! BTW-The NCTIES 2010 Wiki has links to all the presentations and links that were shared during the conference. Definitely take some time to look through that for lots more resources and learning.